When humans begin populating the universe with Noah’s Ark seeds, our destiny changes. We are no longer an ordinary group of short-lived individuals struggling to preserve life on a single planet. We are then the midwives who bring life to birth on millions of worlds. We are stewards of life on a grander scale, and our destiny is to be creators of a living universe. We may or may not be sharing this destiny with other midwife species in other parts of the universe. The universe is big enough to find room for all of us. Tomorrow, the billionaire’s SpaceX is holding an event called “Making Humans An Interplanetary Species” which will shed light on the Red Planet exploration scheme. Ahead of the event, Musk shared images of a new rocket booster called the Raptor, which will power an “Interplanetary Transport System”. But even Dyson does not believe in quantum gravity. How can we tell if gravity is quantum? 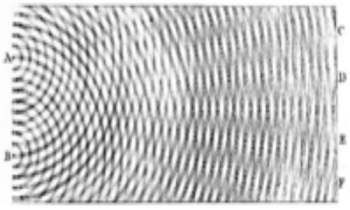 What I realized, and Frank and I codified in our paper, is that actually the universe acts like a graviton detector, in [the] sense that processes in the early universe produced phenomena that could be observed today as gravitational waves. But those events, those processes, will only work if gravity is a quantum theory. If gravity isn’t a quantum theory, we won’t see these gravitational waves from the very early universe, which BICEP thought they saw. 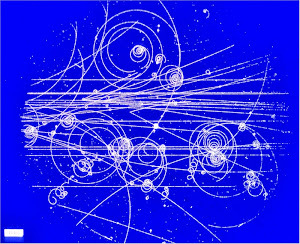 Now BICEP may not have seen gravitational waves from the early universe, but the fact that we recognize that if this phenomena called inflation happens in the very early universe, and if it produces gravitational waves, that will tell us that gravity is a quantum theory; therefore, all of the problems of quantum gravity will need to be addressed by theorists, giving job security for generations. Dyson is right here, and all the talk about quantum gravity is unscientific speculation. Roger, you are forgetting that deep space travel is impossible from an energy standpoint. Even optimistic assumptions with the relativistic rocket equation require enormous amounts of energy that would quickly exhaust the entire earth. Notice that we can barely communicate with deep space satellites with turbo code, MIMO, BPSK etc... within the solar system. Large attenuation!